Nurtured with an idea to shake up the unorganized property market to a Need based Property Solutions Specialist with team of business associates in this ever changing dynamic, non regulated property space and to help them manage there customers investments grow with right knowledge and skills. 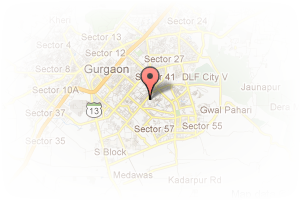 Address: Near Paras World School, Rose wood city, Sector-50, Gurgaon, Haryana, India. This Broker Profile page for "JMD Properties" has been created by PropertyWala.com. 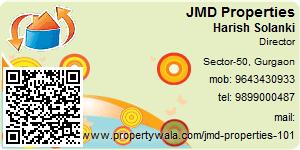 "JMD Properties" is not endorsed by or affiliated with PropertyWala.com. For questions regarding Broker Profiles on PropertyWala.com please contact us.